July 23, 2013 | Meagan Miller & filed under Uncategorized. In February 2014, CJSR and stations across the country will create the eleventh annual Homelessness Marathon. 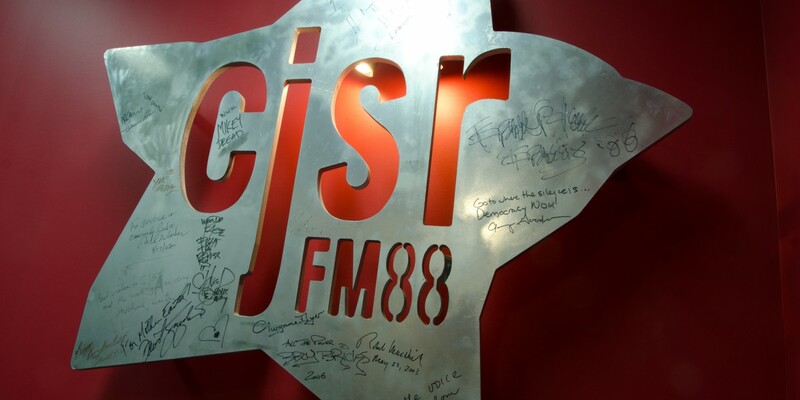 CJSR is hiring a homelessness marathon co-ordinator for the 14-hour Homelessness Marathon national broadcast, with a specific focus on outreach to stations, encouraging stations to take on producing and hosting a few hours of the broadcast live in their cities, and improving the news capacities of sister stations by providing tools for producing homelessness radio. This is a full-time (35 hours/week), contract position. This position is made possible by the Community Radio Fund of Canada (CRFC). Preference will be given to current news volunteers. The Homelessness Marathon serves up 14 hours of people-powered radio, from dusk until dawn, broadcasting from multiple cities across Canada in late February. With the goal of being a consciousness-raising event, the Marathon provides an opportunity for homeless people and their allies to take to the airwaves, and allow a nationwide discussion on homelessness issues and possible solutions.